There’s much that can be said about the Hampton, Virginia rapper/singer named D.R.A.M., who blew up almost immediately overnight with the ridiculously catchy single “Cha Cha”. It’s something fulfilling about wanting to dance with a ‘Dominican that resembles Taina’ over a bewildering Super Mario Bros. sample. It’s superbly infectious; glittered with gold and fun and a Chance The Rapper co-sign that got him on stage at the VCU Homecoming concert. It was not too long ago that he was simply named Drama Jones a little over five years ago, still tweaking his style and hoping he could bring the Virginia sound to the bigger stage. “I want to go left-field but stay in-field so people can recognize it”, a quote that he gave to me during his interview when I was simply a sophomore in Hampton University. Little did I know that he would grow into almost an overnight sensation in this region right after the release of his #1EpicSummer mixtape. The growth from that and his repackaged #1EpicEP is pretty recognizable and shows that D.R.A.M. is more than capable of being a future star. In what’s becoming a trend these days with rap projects 45 minutes or shorter, it works in the benefit of those that are still building a fanbase and highlighting their strengths. 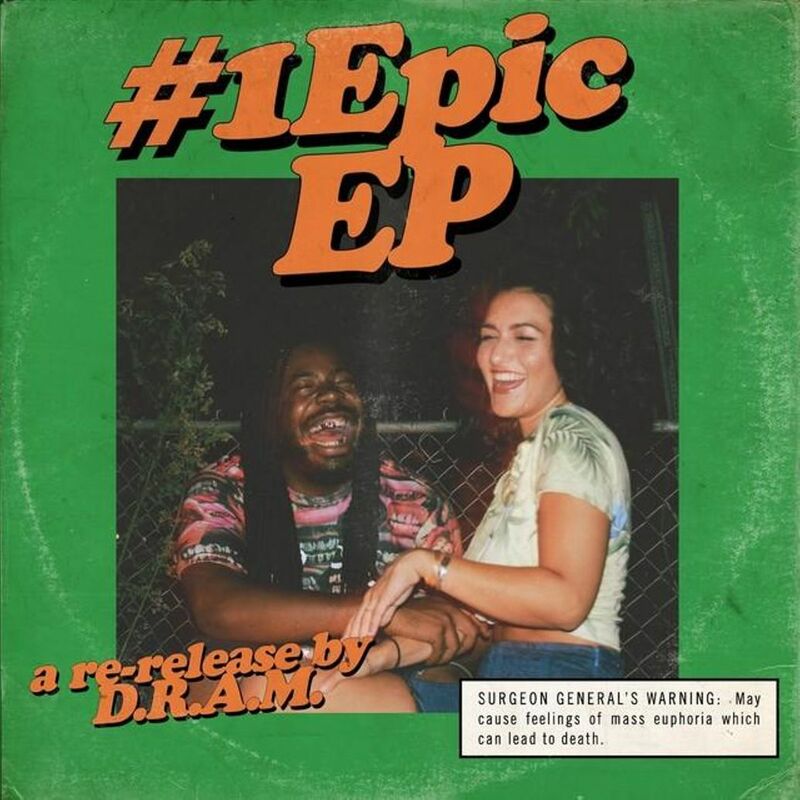 D.R.A.M.’s influence of the supernatural sounds are prevalent throughout, crooning over wonderfully weaved instrumentals that evoke Funkadelic and Neptunes. “Erything” scuffles with the best of Bootsy Collins and S.O.S., while the standout “Gotta Go” strikingly resembles that of a fellow Virginian D’Angelo. He only truly ‘rap’ on “2$”, recalling his come up from coming off Hampton Transit and battling his way into studio time. D.R.A.M. is at his best when he is outside of the box and I think he likes it better that way. Future never seems to stop working. 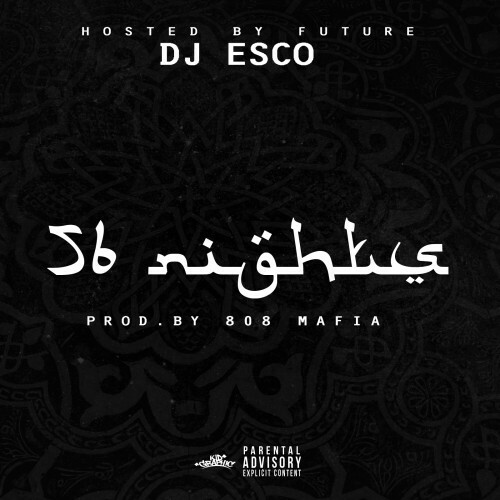 With two acclaimed mixtapes within five months, he releases yet another one at his disposal aptly named 56 Nights. For those that don’t know the backstory of the title, the host DJ Esco was imprisoned in Abu Dubai for that exact length of time in the most frightening moment in his life. It’s not much of a biographical account told by Future as much as it is of celebration of Esco’s freedom and return home. Entirely produced by 808 Mafia, it is another home run for the Atlanta Astronaut. The tape features some of the wildest beats Southside has ever done, damn near reaching Nintendo Boss Battle quality with “March Madness” and “No Compadre”, with bass sunken deep into the abyss of hollowed lo-fi effect. “Purple Comin In” is the one track that can compete with a “Commas” or even “Codeine Crazy” from the Monster extravaganza, further confirming that this is one of the best runs for the artist that got on with “Racks” six years ago. Hopefully he can save more of this magic for the album. 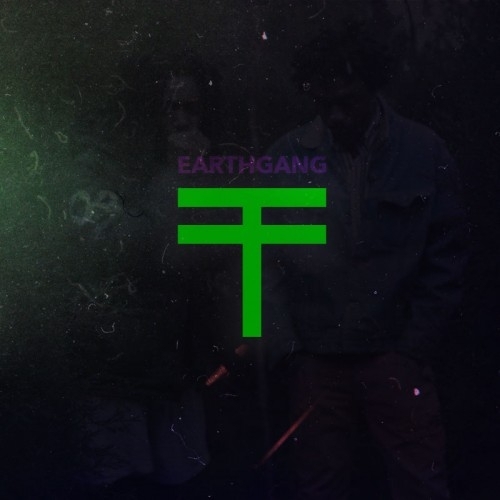 From opening up at college homecomings to touring with Fashawn and performing at SXSW, EarthGang is another one of Atlanta’s best kept secrets. Doctur Dot and Johnny Venus have been crafting and perfecting their sound for years, building their fanbase and network in the process. It’s earned them a number of cosigns from fellow artists like Ab-Soul and Mac Miller. The latter makes an appearance on “Monday” their latest EP Torba, with each track named after a day of the week. Of course with many Southern acts with jazzy influences, they will often get compared to the legendary stalwarts of OutKast. EarthGang would look at that as moot, rather wanting listeners to let creatives built a legacy of their own. With Torba, they aim to reach out to a new audience with production from Childish Major and an excellent remix of their breakout single “The F Bomb” with OG Maco. Maco shines brightest with a stellar verse that shuns his detractors yet again. It’s a nostalgia trip that’s modernized to its fullest capabilities. Father – Who’s Gonna Get Fucked First? AWFUL Records’ breakout star Father could be very well the next in line to be tagged with the already dated term ‘New Atlanta’. Relatively unknown almost six months ago, he got clubs from his city to DC turning up from his Young Hot Ebony highlight “Look At Wrist”. Much of that could also be attributed to the guest spots of heavyweights Key! and Makonnen, but Father’s nonchalant debauchery and intoxicating production comes to the forefront throughout much the debut tape. Building on his momentum he takes it up a notch with Who’s Gonna Get Fucked First?, to which a Twitter user described it as “Uncle Luke having a Tumblr”. In many ways, that exact depiction is right. There’s a tinge of Miami bounce on the slight interlude “Gurl” backed by a solo performance from Abra and drum kicks that snap back in rapid succession on the title track. Amongst the amount of references to women drinking his spit and vomit, the only things that really do get disgusting is the production. “Back In The A Freestyle (On Me)” builds with creepy synths before breaking down into a twerking number that Mannie Fresh would be proud of. “Morena”, “BET Uncut”, and “Suicide Party” are a few more tracks that grow with solid chord progression that rival another DIY-er in Tyler, The Creator. It’s tricky, sticky, and sweet, and that’s just the album cover itself. As if the presence of A$AP Mob and Aubrey didn’t shoot the influence of Houston’s candy-paint, slow-screwed sounds back into the forefront a few short years ago, you now have actual residents in the city taking that sound they were brought up on and twisting it into their modern vision. More notable references would be Kanye & T.I.’s protégé Travis Scott, then the lesser-known but efficient lyricists in Fat Tony and DeLorean, and now one that blends the best qualities of each into music that is so equally addictive and reflecting than Maxo Kream. 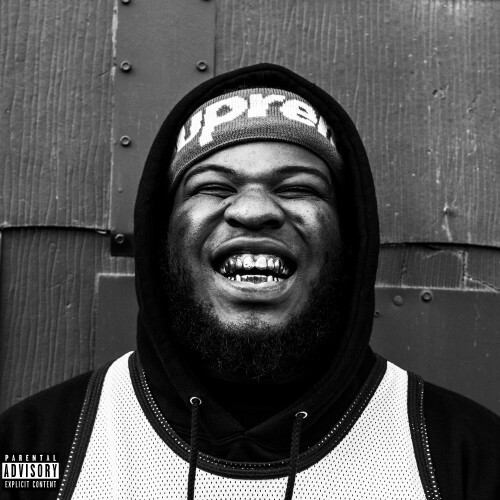 Maxo has been bubbling for quite a while gaining traction with QuiccStrikes, a sprawling mix of screwed street narratives that showed flashes of brilliance. With his most recent release, Maxo 187 is the mixtape that is as cohesive and spooky as his previous works. H-Town’s syrupy-imprint his laid out throughout the tape with the murky and eclectic production from WxlfGxd, A$AP P, and Ryan ESL, though the content are more about pistol whipping those in subwoofers than riding in them. ‘You was runnin’ in the court shooting shots at the net, I was runnin’ with the glock’ Maxo starts on the blistering intro “Thirteen”, a theme building throughout a project full of trapping, flipping, doing DX crotch chops to his 3rd Grade teacher. He even pulls out one of the best and most 2015 verse out of Joey Bada$$ on “1998” of all ironies.